according to the formation of their spiritual body. God will not treat you at that level. and be able to live at the highest level Heaven. will live in the highest level Heaven. 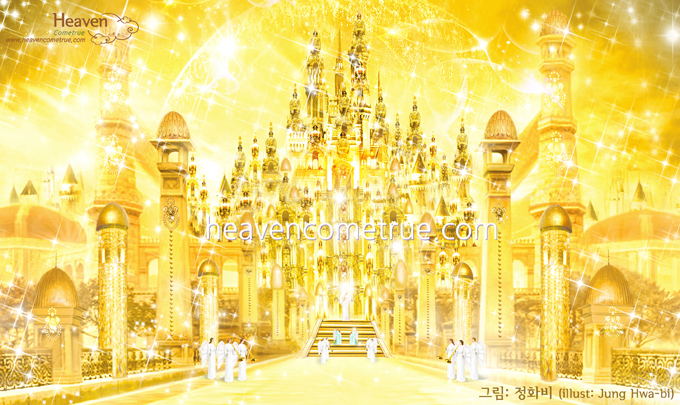 ‘Heaven’ that God governs has thousands of levels and tens of thousands of levels. In other words, just because it is Heaven, it does not mean that it is all the same. In Heaven, there is the highest level Heaven. at the time of the Complete Testament. and that raptured into the Trinity’s counterparts of love will live. It is a world in which all things are adorned with gemstones and treasures. the other domains of Heaven are adorned with treasures, but only in part.